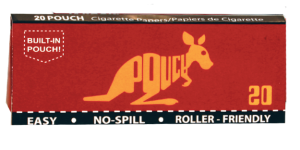 Ouur Pouch® design makes rolling a perfect smoke easy with little to no waste. To adjust the amount of smoke you draw from your rolley simply tear the ends to your liking. Rolling Supreme Copyright 2018 - All Rights Reserved.